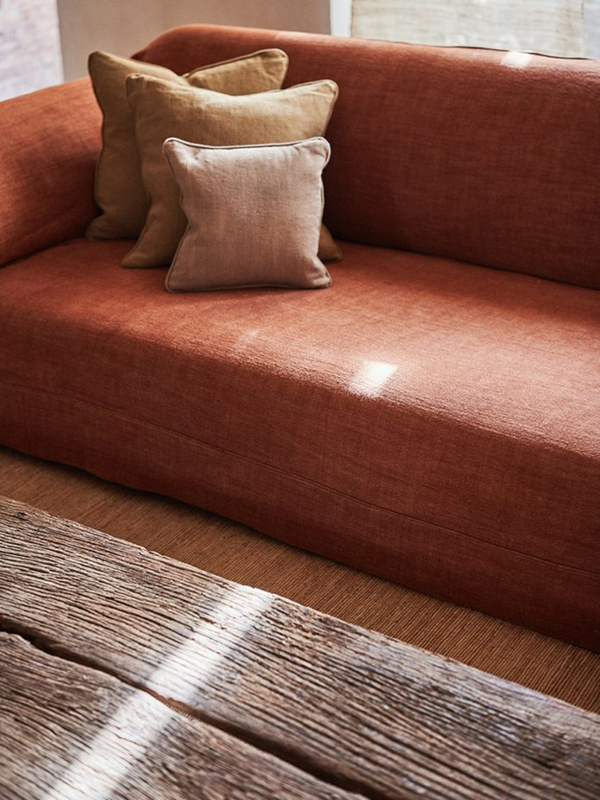 I'm inspired by the clay and brick hues of the linen upholstery in the penthouse of the Greenwich Hotel in TriBeCa designed by Axel Vervoordt and Tatsuro Miki. 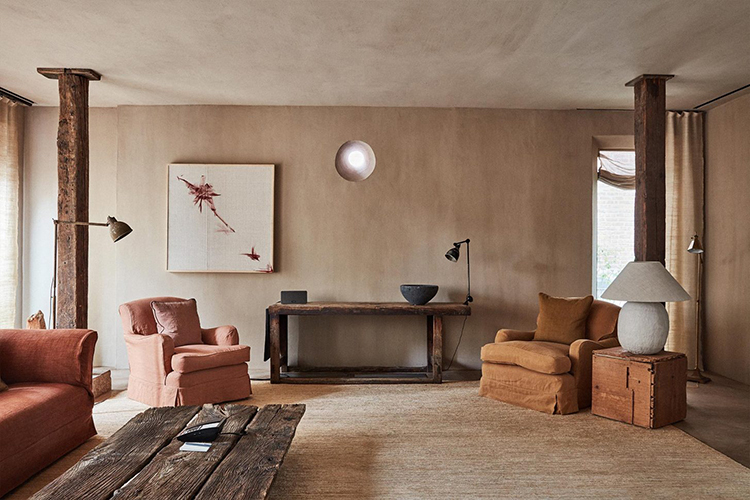 The matching unrefined finishes of the woods and walls, the careful collection of art and accents and the overall understated cozy vibe create one of the prettiest examples of wabi sabi elegance I've yet to see. Photos by Rick Stapleton via Cereal.